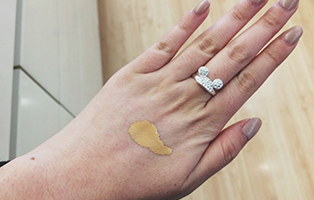 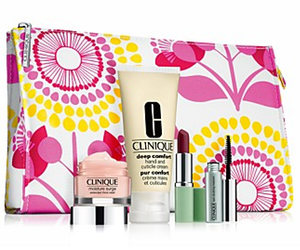 Lucky for you, here’s a second chance to get some of those deluxe samples from Bloomingdale’s Clinque Bonus Time. 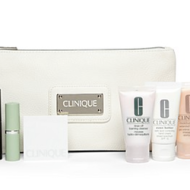 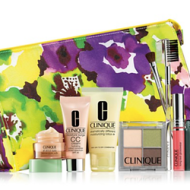 In replacement of last weeks sold-out gifts, Bloomingdale’s is offering a new Clinique 5-Piece Gift when you spend $32. 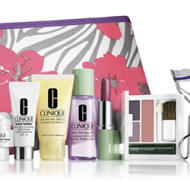 This bonus gift includes deluxe samples of moisture surge extended thirst relief, deep comfort hand & cuticle cream, different lipstick in different grape, and lash doubling mascara, all in a signature cosmetics bag. 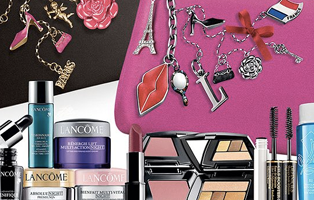 This offer is available while supplies last, which realistically won’t be long. 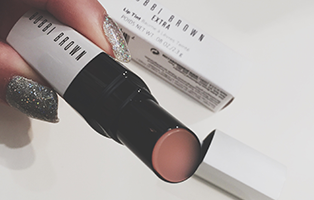 So, shop now before it sells out again!